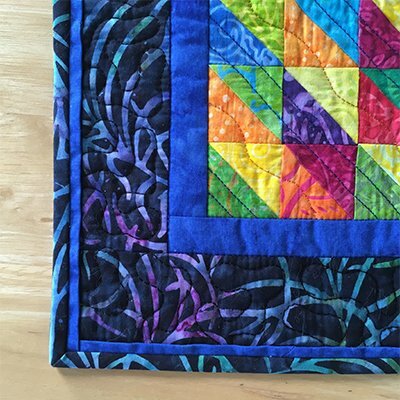 Learn the tips and tricks to binding your quilts like a pro in this hands-on class. Students will learn how to make binding, apply it to a practice quilt sandwich, how to invisibly join the binding ends and finish it by hand. Design elements of bindings will be discussed. This class will help you take your quilts to the next level.